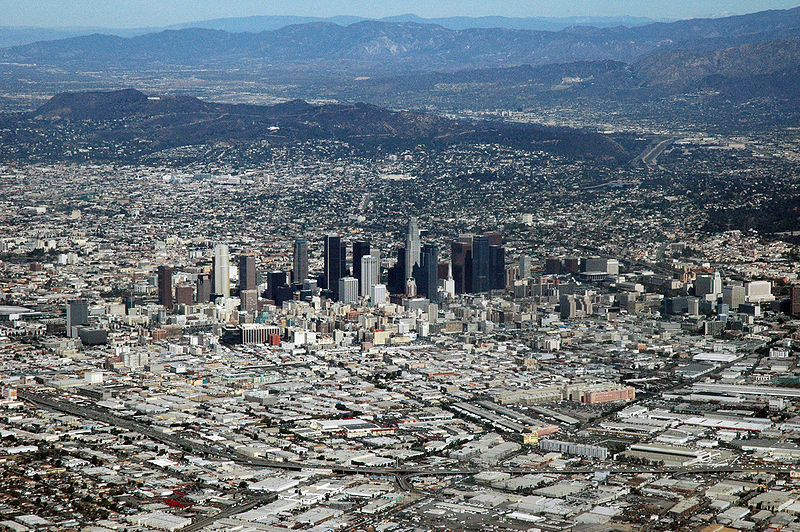 The LA Times ran an article by Hector Tobar last week, titled “Finding the Real L.A.” Tobar expressed what I have been feeling and saying for the eleven years I have lived in L.A. This is a surprising, interesting, exciting, and, believe it or not, calming place to live. He describes driving with his daughter from the Echo Park area all the way down Sunset to Pacific Palisades in one long afternoon, passing one ethnic neighborhood after another, through hipster Silver Lake to old and new Hollywood and the rich environs of Beverly Hills, Bel Air and Brentwood, enjoying along the way the many layers that make up this amazingly diverse city. When I decided to leave San Francisco, where I had lived for 25 years, my friends were aghast that I had chosen to move to Los Angeles. San Franciscans have a very chauvinistic and superior attitude toward all things “L.A.” The predictions were grim: “You will hate it. All that traffic, unfriendly superficial people…an intellectual wasteland, they don’t call it LaLa Land for nothing!” I had always noticed that folks from the Bay Area loved to criticize the City of Angels and rolled their eyes in disdain whenever anyone mentioned it. On the other hand, I had observed that folks from L.A. blithely love and admire San Francisco and seem unaware that the feelings aren’t reciprocal. 1. When the traffic gets bad one can always get off the freeway and make it by streets, as opposed to the Bay Area traffic where one is stuck on bridges with no alternatives, unless your car can sprout oars and float down to the bay. 2. I was surprised that interviewing for jobs in Los Angeles requires a degree of professionalism that I never experienced in laid-back San Francisco. 3. The museums, art galleries, and gardens and parks available to the pub lic are the best in the U.S. Our symphony, opera and theaters are excellent. 4. Griffith Park is a wealth of surprises. Where else in the middle of a metropolitan city can one go on a midnight horseback ride over a small mountain with the city lights spread below and end up at a Mexican restaurant where you tie up your horse and mosey on in for food and fun? I’ll stop before I begin to sound like a member of the Chamber of Commerce. The point I’m circling around is that Los Angeles is a city that wants exploring and offers so many experiences, if only one is simply willing to move out of one’s routine and comfort zone and begin to explore. It was shocking to me recently that a group of gals I was having lunch with (all native Angelenos) had never been in the wonderful art deco Union Station, never been to Olvera St., Chinatown or Japantown, didn’t know about Santee Alley, had never been inside Disney Hall or just wandered around downtown to know about the lovely little parks tucked here and there and had never ridden the metro. These same ladies have traveled abroad and probably spent more time exploring European cities than their own L.A. Maybe that’s not unusual, but I think if you live in a city as exciting and multi-layered as Los Angeles you really have no right to ever say you’re bored. 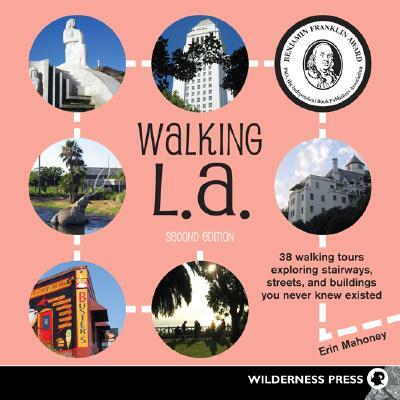 There is a great little book that we carry at Portrait called Walking LA by Erin Mahoney Harris. I highly recommend it for making an adventure of exploring interesting neighborhoods. The format is very accessible, with maps which indicate the length of the walk and degree of difficulty, if any. There is also a guide to the shops and restaurants you will pass on your walk, and the book points out anything else of interest that you should be aware of. I have used this book over and over again, both for the visitors I entertain, and for just wandering on my own. 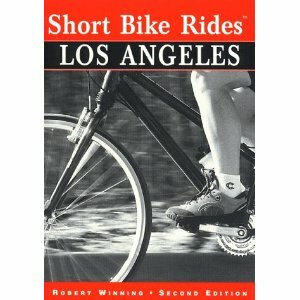 Also of interest is Short Bike Rides in and Around Los Angeles by Robert Winning, for those who want to park their cars and wheel around different areas exploring and exercising in one fell swoop. 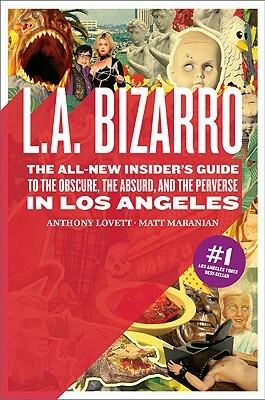 And if you just want to check out the weird, absurd and obscure, pick up a copy of L.A. Bizarro by Anthony Lovett and Matt Maranian. Take a trip all the way to our part of the world and pick one of these up for yourself. It doesn’t take much to change a life. What a fabulous essay, Donna! I remember attending a funeral in at Good Shepherd Church in Beverly Hills a few years ago — the reception was at the California Club downtown. The funeral cortege traveled all the way across town down Wilshire Boulevard. I remember feeling such a sense of California history, taking in all the historic buildings, businesses and neighborhoods, watching people along the streets, going about their lives. The Club interior is so historic, it’s like stepping into a genteel time machine. /// Recently, Jane and I went to the Aratani Theatre in downtown Little Tokyo and saw a Kabuki performance – what an amazing experience that was!!! /// Last week, I went for a walk at the Lake Hollywood reservoir – it was just like being in Lake Tahoe, and it’s only minutes from where I live. L.A. is filled with hidden treasures — not the least of which is our little bookstore! Aren’t we lucky Lilly to not only live in L.A. but to appreciate all that it has to offer.